On Saturday, April 28th, thousands of residents and community members attended Cherry Hill's annual Earth Festival held at Croft Farms. The goal of the festival was to bring the community together for a fun day of activities and entertainment for people of all ages, while educating residents about how they can make small lifestyle changes to become more sustainable. You can view photos from the day by clicking HERE. You can read more coverage from the event by clicking HERE for WHYY's story about the day and clicking HERE for Sustainable Cherry Hill's wrapup. The Department of Environmental Protection (NJDEP) announced this week that Cherry Hill has been awarded a Clean Communities Grant of $113,429 to help fund Township litter cleanup efforts that help beautify Cherry Hill's roadways. You can click HERE to read more about the NJ DEP announcement. The Earth Festival began with a Family Fun Bike Ride through the Barclay neighborhood in the morning. Keswick Cycle offered free bike safety checks before the ride began for all participants. You can see photos from the Family Fun Bike Ride by clicking HERE. Following the bike ride, Mayor Cahn, his wife Stephanie and members of Council officially launch the Mayor's wellness campaign. You can learn more about the Mayor's Wellness campaign including the chance to take the wellness pledge, learn about upcoming activities, educational events and wellness tips by clicking HERE. Starting a fitness program does not have to be overwhelming when you are armed with the proper tools to get things rolling. Once you have committed to getting in shape, there are several things you can do to ensure you will exceed your short and long term fitness goals. There are also some things you should avoid at all costs to ensure you stay on the path to fitness and wellness. What exactly are the rules when it comes to fitness? Click HERE for Do's and Don'ts of a successful fitness plan. Cherry Hill Art Blooms festival will close this Sunday May 6th at 3:00pm with the Wonderful Brass Concert- Members of the Ocean City Pops will perform memorable music Guranteed to make you smile. Tickets are Reduced to $10 for those who mention the Flyer or this note and will be available at the door. This will be the final time to see the winners of our 2012 Art Blooms Art Show. Croft Farm Arts Center is located at 100 Borton Mills Road in Cherry Hill. For more details see www.cherryhillarts.blogspot.com. Cherry Hill National Athletic League held their opening day ceremonies on Saturday, April 28th. Players from all teams in the league joined together on the field for the National Anthem, performance from a magician, and a visit from the Phillie Phanatic. Mayor Cahn thanked the parents and volunteers for their work and threw out the first pitch of the season. Council President Fleisher wished the teams luck on the upcoming season. You can view more photos from the Opening Day festivities by clicking HERE. Mayor Cahn joined over 100 regional business leaders at Sustainable Cherry Hill’s ‘Greening Your Bottom Line’ breakfast on Tuesday May 1st at Caffe Aldo Lamberti. The informative session included networking with leadership sponsors Hutchinson, Your Total Energy Experts, Montgomery McCracken, several other ‘green-focused’ business sponsors, and the Camden County Regional Chamber of Commerce. Mayor Cahn spoke to the business leaders about steps they can take to green their bottom line by making their business more sustainable. You can view more photos from the breakfast by clicking HERE. Destroy your personal documents, prevent identity theft and protect the environment at the Camden County Spring Shredding event. The event will be held on Saturday May 5th from 8:30 am - Noon at the Camden County College Blackwood Campus. For more information, click HERE. A senior citizen/baby boomer resource and health fair will be held from 4:30 pm - 7:30 pm on May 10th at the Betty and Milton Katz Jewish Community Center of Cherry Hill on Springdale Road. The event is a collaboration between Cooper University Hospital and Samost Jewish Family and Children's Service. For more information or to register, contact Jewish Family and Children's Service at 856-424-1333 or www.jfcssnj.org. Don't miss Cherry Hill Education Foundation's signature event, "Dancing with the Cherry Hill Stars," which will take place this Sunday, May 6th, at 7:00 pm at Cherry Hill High School West. Click HERE for more details on this year's dancing couples. You don't have to wait for the event to show your support for the dancers; you can vote online now at the Foundation website -www.cherryhilleducationfoundation.com. 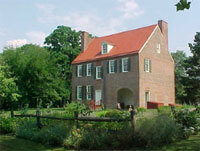 Enjoy the spring weather by visiting the Barclay Farmstead Museum, a historic oasis in the heart of Cherry Hill. The Farmstead will be open for tours this Sunday, May 6th from 1:00pm-4:00pm. In addition to tours of the farmhouse, visitors can also enjoy the property's interpretive nature trails, picnic area and playground. Built in 1816 by Quaker farmer, Joseph Thorn, the farmhouse and surrounding 32-acre property offers visitors an opportunity to learn about the agrarian lifestyle that once dominated the South Jersey landscape. Owned and operated by Cherry Hill Township, with support from the Friends of Barclay Farmstead, the site is listed on the National and New Jersey Registers of Historic Places. For more information, go to www.barclayfarmstead.org. As the temperature rises and summer approaches, Cherry Hill is home to thirteen swim clubs located in neighborhoods around the Township. You can click HERE to get information about contacting a swim club near you and upcoming events including basketball, swim relays and volleyball tournaments. The 3rd Annual Jeremy Kane 5k Benefit Run will be held on May 20th at Cherry Hill High School East. Registration is $10 for an individual or $25 for a family and will take place from 8:00-9:00 am. For more information on registration, donations and sponsorship information visit http://jeremykanebenefitrun.webs.com/. The sixth Legislative District will hold a job and resource fair on Wednesday May 16th from 11:00 am to 3:00 pm at the Cherry Hill National Guard. The job fair is free and open to the community. For more information or to register, please call 856-435-1247. Looking for work? The Cherry Hill Public Library will hold a computer class, Job Search 101, on Tuesday May 22nd from 2:30pm-4:00pm. Join as they review what you’ll need to know about resumes, cover letters, interviewing, and networking. In addition, you’ll learn about some helpful databases available through the library (Career Transitions / Job and Career Accelerator). Need help completing an online job application? They’ll touch on how you can get assistance using the Reference by Appointment service. Registration required. Click HERE or call 856-903-1246. The Cherry Hill Public Library invites you to wear your PJs and bring the whole family to enjoy stories, songs and a craft at their Family Fun night on Wednesday, May 30th from 7:00pm -7:45pm. This event will be led by CHPL's Middle School T.A.B. group. Food will be served. For allergy concerns, please contact them at 856-903-1229. Registration required. Click HERE to register online. Girl's Night Out: "Mirrors, Moods, and Model Mania"
Girls Night Out featuring Dr. Charlotte Markey will present a program called "Mirrors, Moods, and Model Mania" on Wednesday May 16th at Rosa International Middle School. The program will focus on messages received through today's media and developing healthy eating habits and body images. You can get more information about this event by clicking HERE. Project Graduation at Cherry Hill East and West provides seniors with a drug and alcohol free environment in which to safely celebrate their “first reunion.” Cherry Hill East and West are raising funds to support their Project Graduation efforts. Both Cherry Hill West and Cherry Hill East Project Graduation are seeking support for this year’s activities. For more information, contact Carole Kassan at 751-8075 or carolekassan@hotmail.com (EAST) or Jack Gallagher 609-364-5946 or jargonj@verizon.net (WEST). The Camden County Freeholders will celebrate Older Americans Month with BINGO at the Cherry Hill Township Carman Tilelli Community Center on Thursday May 17th. Doors will open at 11:00 am and the first BINGO will begin at noon. To RSVP, call (856)-858-3220. To view the event flyer, click HERE. Cherry Hill Township’s It’s In Our Power program will be holding its first Fuel Efficient Car Show on Saturday, May 19, 10:00 am - 2:00 pm at the Silver Diner, on Rt. 38 across from the Cherry Hill Mall. The event will showcase dozens of car models that get at least 35 MPG highway, including hybrids, electric cars, and high-mileage cars that run on gasoline and diesel. There will even be a fully-electric, zero-emission motorcycle that runs up to 113 miles on a charge, and an electric charging station. For more information, go to www.ourpowercherryhill.org or call Nancy Axelrod at 856-432-8741. Whenever you leave a device plugged into a wall socket, it continues to constantly draw a small amount of energy, which can quickly add up. Computers, TVs, game systems and other electronics consume almost 20% of all electricity used in your home and can cost as much as $175 per year. Most devices consume electricity even when they are turned “off” (hence phantom). Using a power management system on your computer could save you about 900 kilowatt-hours per year in electricity. Also, plugging your electronics into a power strip or surge protector takes just one flip of a switch to turn them all off. For more energy-saving tips, and to take the energy pledge, go to www.ourpowercherryhill.org. Don't miss Cherry Hill Education Foundation's signature event, "Dancing with the Cherry Hill Stars," which will take place this Sunday, May 6th, at 7:00 pm at Cherry Hill High School West. Click HERE for [http://www.cherryhilleducationfoundation.com/CHEF/DWTS.html] more details on this year's dancing couples. You don't have to wait for the event to show your support for the dancers; you can vote online now at the Foundation website - www.cherryhilleducationfoundation.com [http://www.cherryhilleducationfoundation.com/] . As the temperature rises and summer approaches, Cherry Hill is home to thirteen swim clubs located in neighborhoods around the Township. You can click HERE to get information [http://www.cherryhill-nj.com/DocumentView.aspx?DID=699] about contacting a swim club near you and upcoming events including basketball, swim relays and volleyball tournaments. The 3rd Annual Jeremy Kane 5k Benefit Run will be held on May 20th at Cherry Hill High School East. Registration is $10 for an individual or $25 for a family and will take place from 8:00-9:00 am. 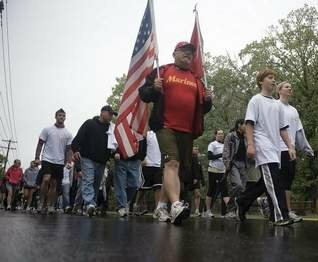 For more information on registration, donations and sponsorship information visit http://jeremykanebenefitrun.webs.com/ [http://jeremykanebenefitrun.webs.com/] . Looking for work? The Cherry Hill Public Library will hold a computer class, Job Search 101, on Tuesday May 22nd from 2:30pm-4:00pm. Join as they review what you’ll need to know about resumes, cover letters, interviewing, and networking. In addition, you’ll learn about some helpful databases available through the library (Career Transitions / Job and Career Accelerator). Need help completing an online job application? They’ll touch on how you can get assistance using the Reference by Appointment service. Registration required. Click HERE [http://host6.evanced.info/cherryhill/evanced/eventsignup.asp?ID=4063&rts=&disptype=&ret=eventcalendar.asp&pointer=&returnToSearch=&SignupType=νm=0&ad=&dt=mo&mo=5/1/2012&df=calendar&EventType=ALL&Lib=&AgeGroup=ALL&LangType=0&WindowMode=&noheader=&lad=&pub=1&nopub=&page=&pgdisp=] or call 856-903-1246. Cherry Hill Township’s It’s In Our Power program will be holding its first Fuel Efficient Car Show on Saturday, May 19, 10:00 am - 2:00 pm at the Silver Diner, on Rt. 38 across from the Cherry Hill Mall. The event will showcase dozens of car models that get at least 35 MPG highway, including hybrids, electric cars, and high-mileage cars that run on gasoline and diesel. There will even be a fully-electric, zero-emission motorcycle that runs up to 113 miles on a charge, and an electric charging station. For more information, go to www.ourpowercherryhill.org [http://www.ourpowercherryhill.org/] or call Nancy Axelrod at 856-432-8741.